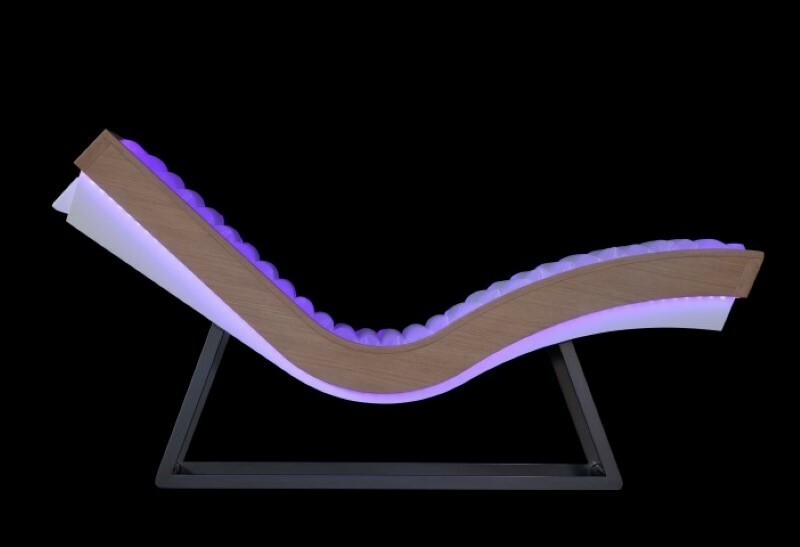 The chaise longue with air mattress by Iso Benessere is an element of great impact: the customer is cradled in the air and colors. 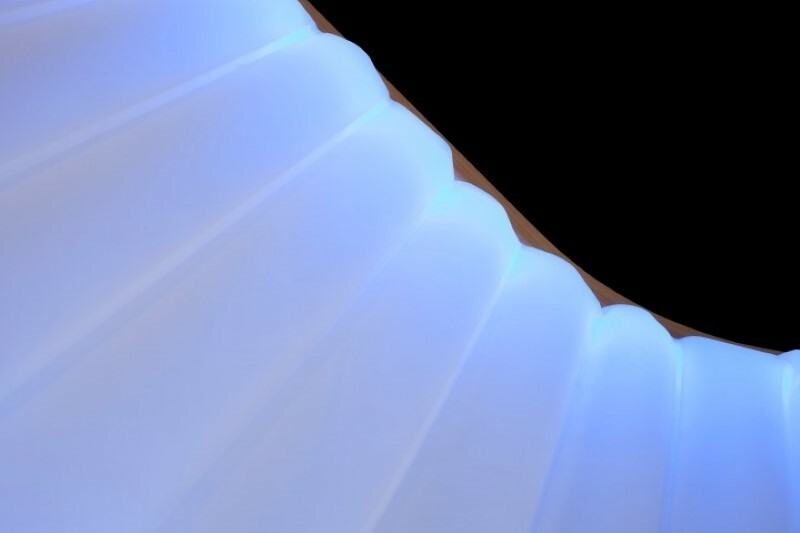 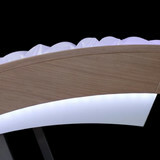 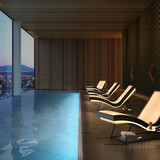 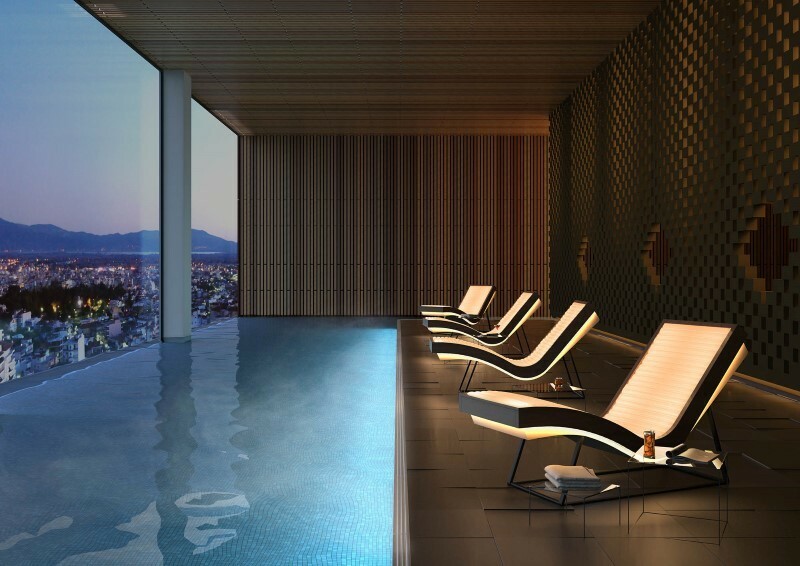 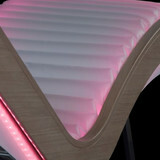 With its fascinating and sinuous lines, Arcus offers unique wellness emotions. 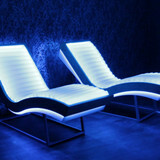 The hypoallergenic air mattress with connected compartments, is designed to avoid the collapse of the seat and offers a total comfort and extremely light sensation to the user. 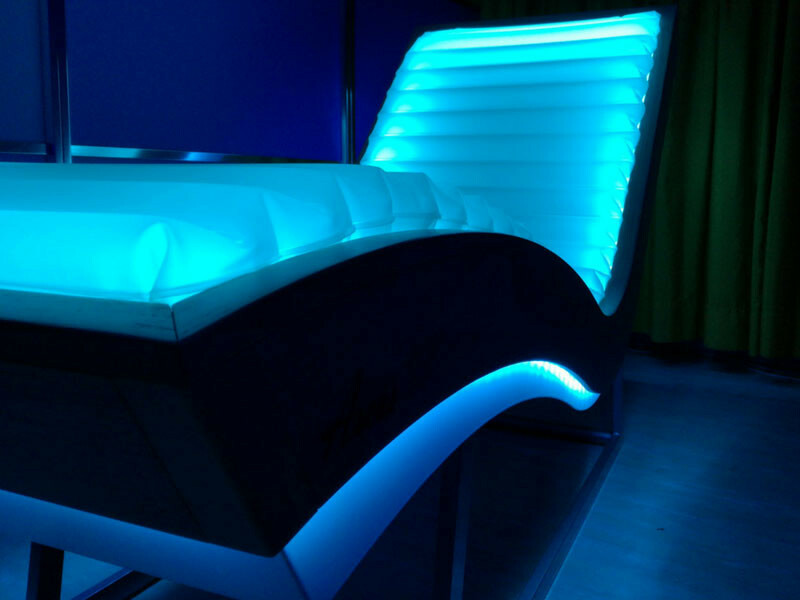 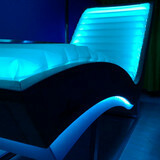 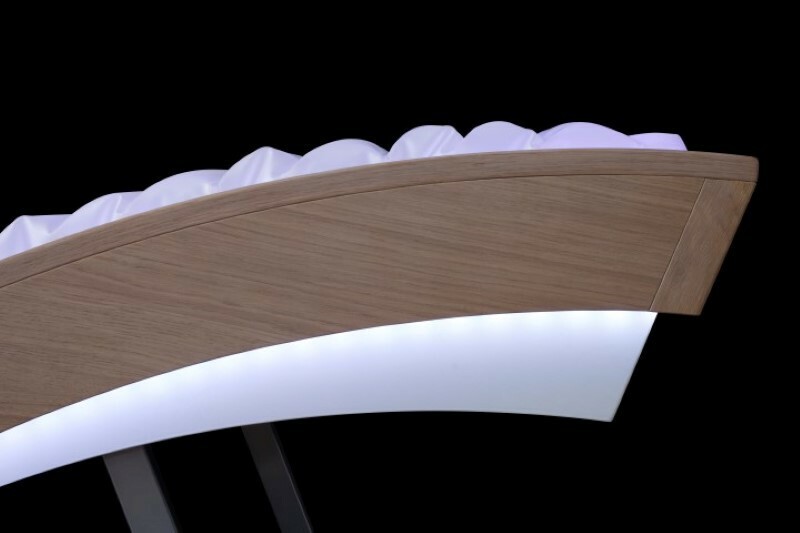 Arcus is equipped with RGB lighting system, colors and lights effects create a pleasant atmosphere. 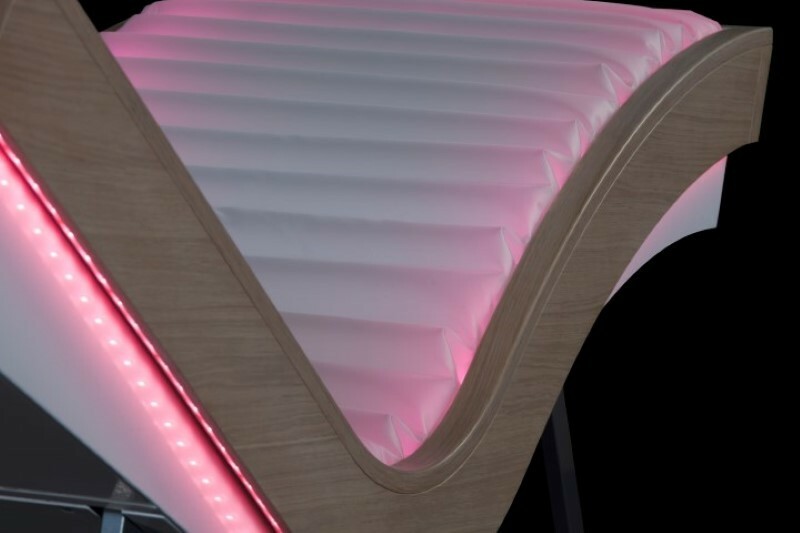 Innovative chromotherapy system can be easily connected and synchronized with other Iso Benessere equipment. 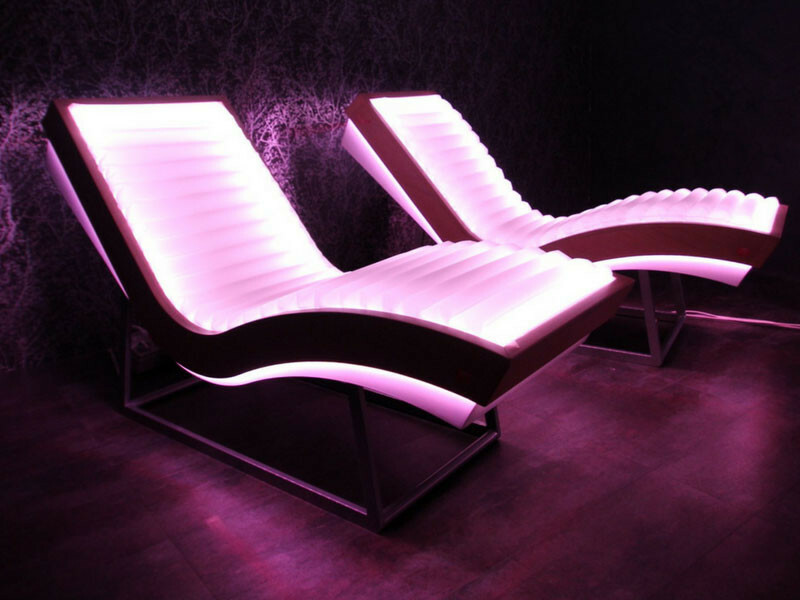 The heating system of Arcus, optional, is fast and safe and can heat the entire seat by setting easily the desired temperature. 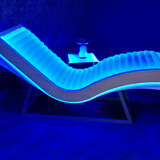 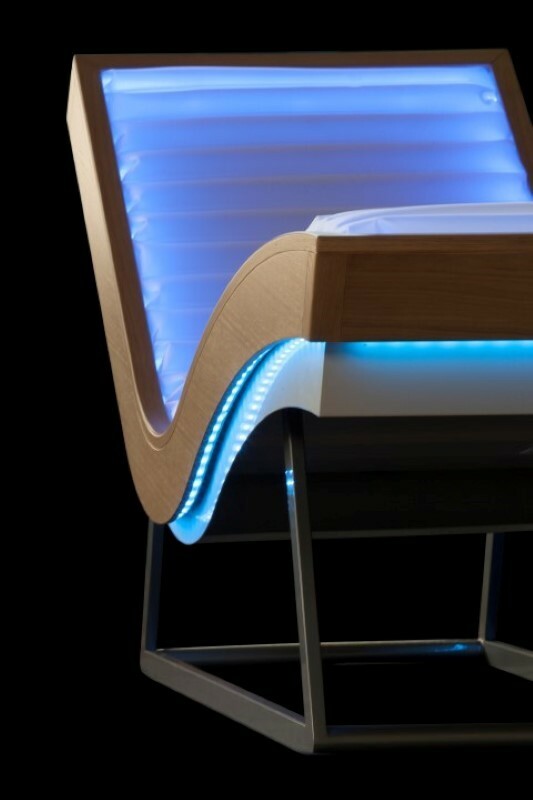 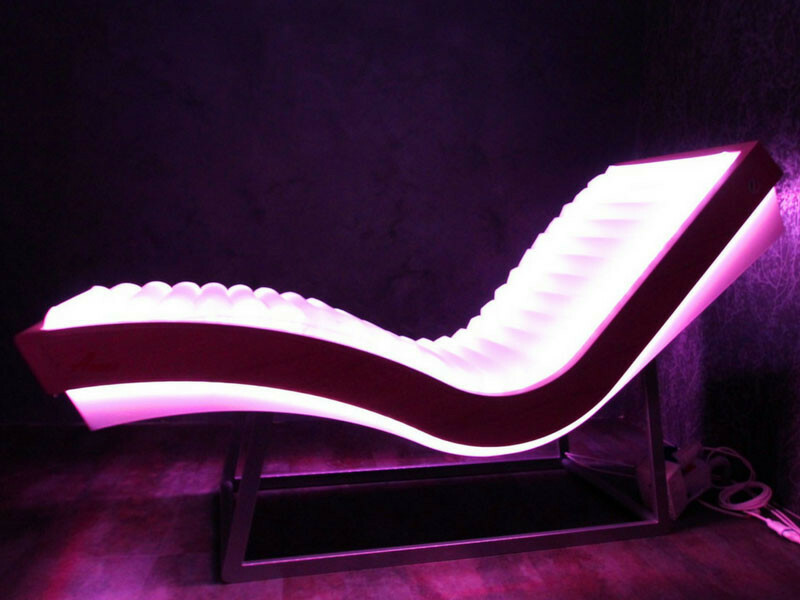 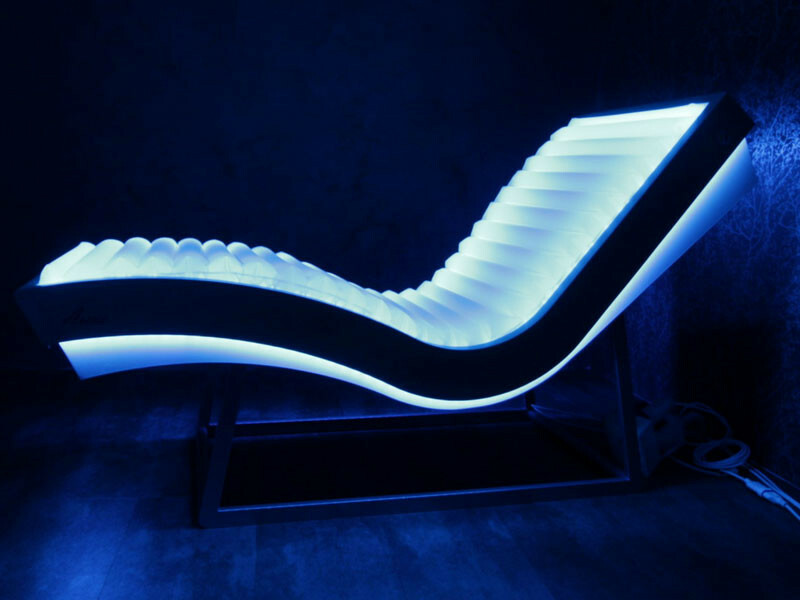 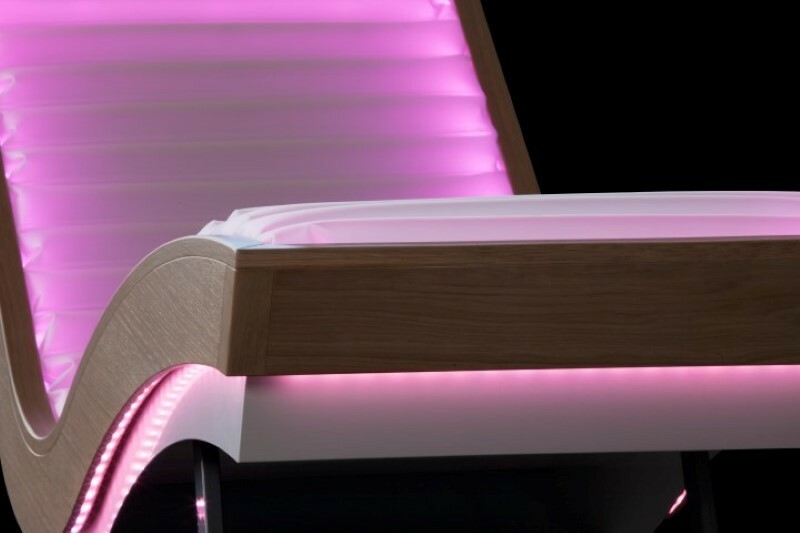 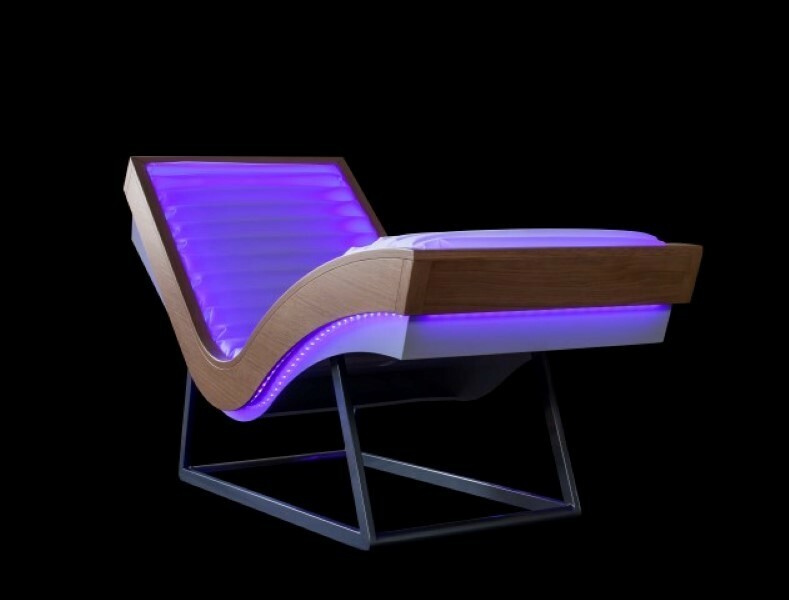 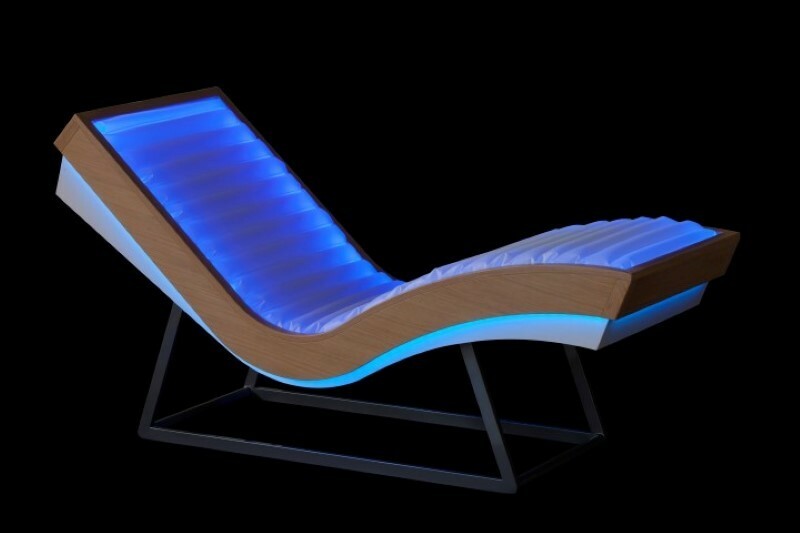 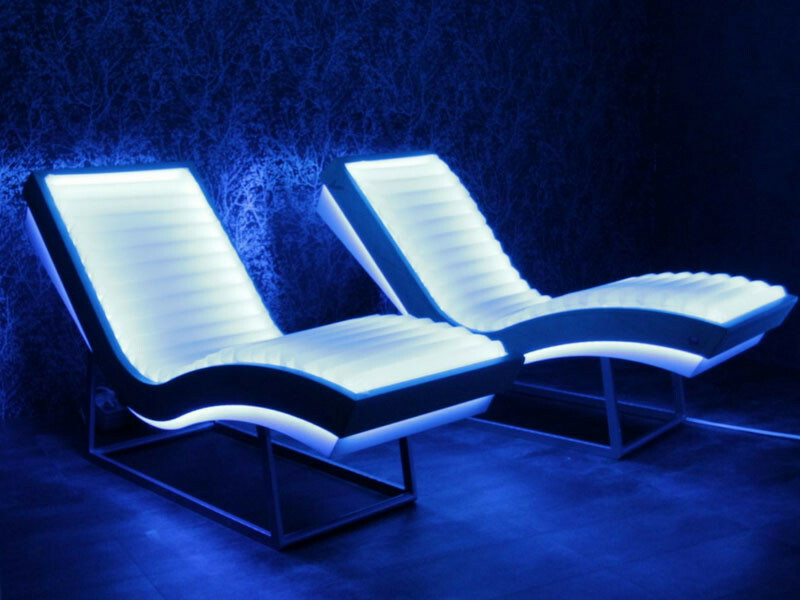 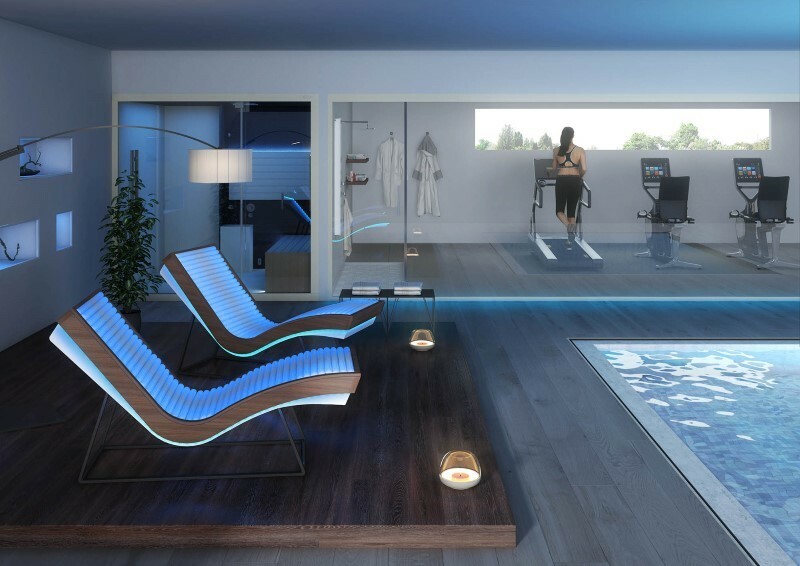 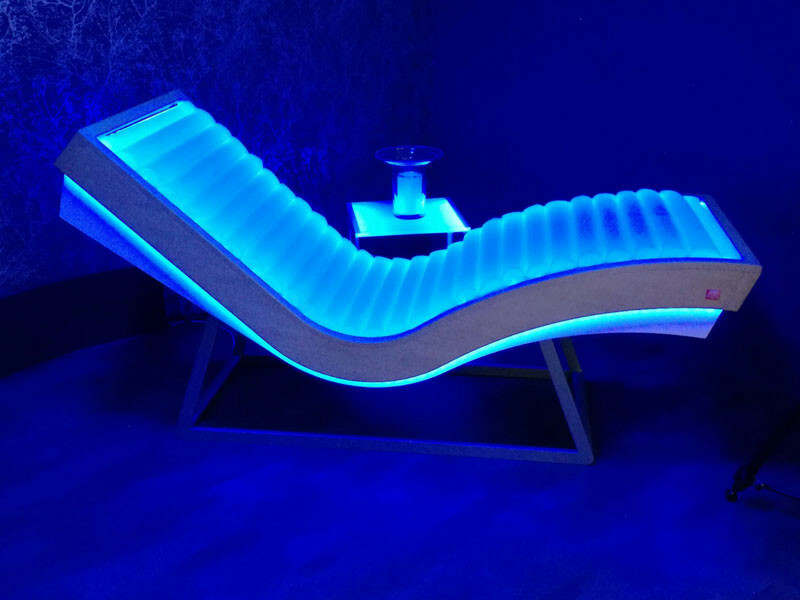 The combination of color and design, makes Arcus a unique chaise longue with the enormous relaxing power suitable for all centers such as wellness centers, beauty salons, hotels, spa, waiting room and swimming pools. 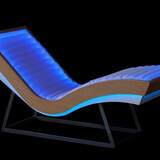 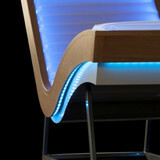 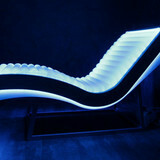 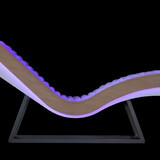 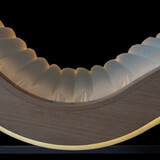 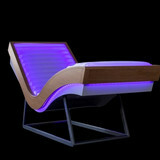 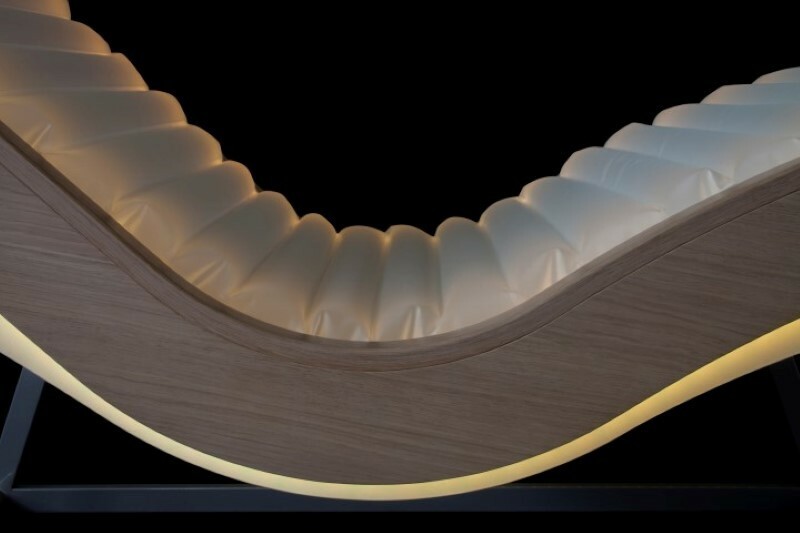 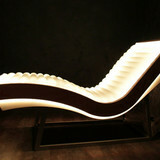 Arcus is the luminous armchair that gives you the sensation of cradling in the air and colours.